Before installing uboot to guruplug server plus you have to set few things. You have to be able to connect to Guruplug via serial connection. The second thing, is to have tftp server up and running. 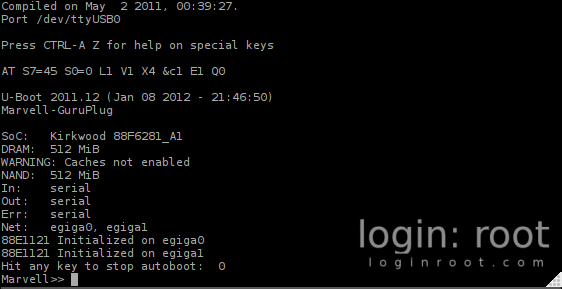 Also you need to have utp cable (to transfer the image to guruplug) and the boot image itself. After downloading uboot image, put it to tftp server root (/tftproot/ in my case). Connect serial cable to your computer and guruplug. Connect your computer with guruplug via utp cable. On tftp server you have to set IP address that you defined on guruplug (192.168.3.2 in my case). Address field from 0x0 to 0x40000 is 262.144 bytes.